Thanks to Claire (Pilot Mom) for this wonderful wreath! Hope you enjoyed having Pilot home for Christmas! See Claire Bug link on this site. 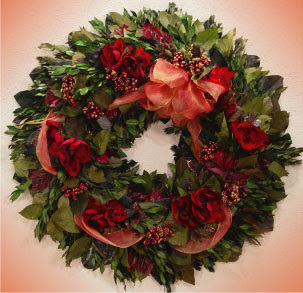 i loved this wreath too! nice to see it here, with your festive colours! have a fun boxing day!